Whether you love crashing through whitewater rapids or venturing high into the mountains on a backcountry trail, you’ll find the perfect adventure escape in Northeast Tennessee. This wild and rugged area is home to lively rivers and streams, lofty peaks, lush forests, and the iconic Appalachian Trail. To get you started in choosing one of the many outdoor adventures this region has to offer, here are 13 can’t-miss adventures you should consider during your visit. Offering some of the most breathtaking panoramic scenery in Northeast Tennessee, the Roan Highlands are a series of bald mountains along the Appalachian Trail. Beginning at Carver’s Gap, trek north on the AT to experience the glory of the highlands, where each bald seems to offer an even more stunning view than the last. Even if you don’t have time to walk all 2,200 miles of the Appalachian Trail (which is most everyone), a “section hike” is the perfect way to get a taste of the world-famous footpath. Start from Carver’s Gap or Uncle Johnny’s Nolichucky Hostel to get an overnight glimpse of the AT’s majesty. Known for its lovely landscapes and easy access, this 10-mile rail trail connecting Johnson City and Elizabethton is one of the region’s shining outdoor attractions. Completed in 2014, the Tweetsie Trail offers cyclists, walkers, and runners a gorgeous, mostly flat path that tours the picturesque countryside and the boundaries of Sycamore Shoals State Park. For great fishing conditions year-round, cast your fly line into the South Holston River below South Holston Dam. Cool waters and a huge population of brown and rainbow trout make this river the perfect place for a solo or guided fly-fishing trip in any season. The trails at Panther Creek State Park offer sweeping views of the Cherokee Reservoir. 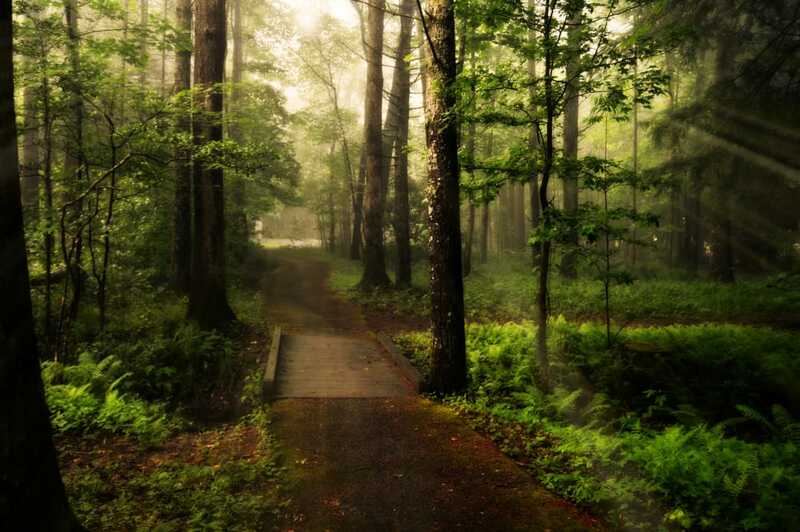 With more than 30 miles of well-maintained walking trails, Panther Creek State Park is nothing short of a casual hiker’s dream come true. Located on the Cherokee Reservoir in the South Holston Valley, the park and many of its trails offer spectacular vistas of the lake and the surrounding Cumberland Mountains. If you’re looking to improve or test your mountain biking skills during your visit to Northeast Tennessee, Tannery Knobs in Johnson City is just the place. This 40-acre park is just a mile outside of town and offers trails and terrain features for all levels of bikers. Perched atop a ridge, the park also provides incredible views of the city below. Known for its thrilling Class III-IV rapids, the Nolichucky is one of the last major free-flowing rivers in the Southeast and a destination for water lovers everywhere. Adventure seekers can take guided raft trips down about 10 miles of chilly whitewater, while enjoying magnificent views of the towering gorge walls. This beautiful Bristol park, established in 1964, offers a little bit of everything for visitors young and old. Explore 24 miles of walking and running trails, or tee up at the challenging 9-hole golf course. Park-goers can fish and paddle on 52-acre Steele Creek Lake, enjoy a picnic at one of the many shelters or take a walk through the Nature Center to learn about the region’s flora and fauna. Off the Grid Mountain Adventures offers activities that seem almost too exciting to be in this historic and charming little town. The 3,000-foot zipline is one of the longest in the country and provides the perfect way to quell your inner adrenaline junky in a safe, family-friendly setting. 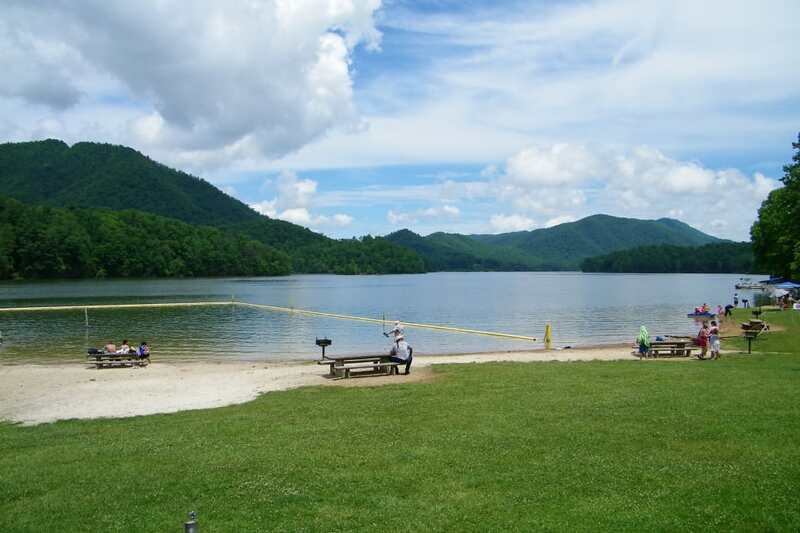 Surrounded by beautiful forest and a pristine shoreline, Watauga Lake is a beautiful spot for paddling and relaxing. 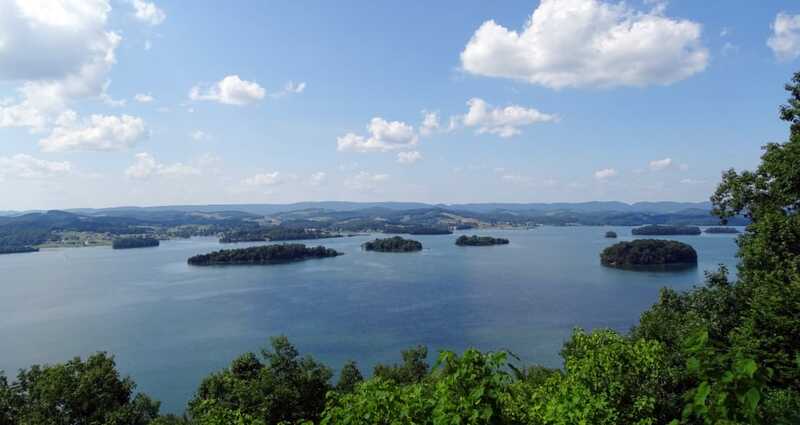 Nestled into the rugged Appalachian Mountains within Cherokee National Forest, Watauga Lake is largely surrounded by a beautiful forest and pristine shoreline. Its banks offer several primitive picnic areas for a relaxing day outdoors, as well as remote beaches where you can play or paddle. This campground overlooking Watauga Lake is arguably one of the best in the Cherokee National Forest. In addition to offering amenities like showers and flush toilets, Cardens Bluff campsites are spacious and provide easy access to nearby activities. Plus, many of them offer beautiful views of the lake below. Spend an hour or a day enjoying the excitement of two different adventure ropes courses at Bays Mountain. With a high and a low course, plus a few other sky-high activity options, Bays Mountain is the perfect place for an unforgettable group outing. Located along the Patrick Henry Reservoir on the Holston River, Warrior’s Path State Park is a wonderful place to while away an afternoon on the water. The park offers canoe, kayak, stand-up paddleboard, and pedal boat rentals for very reasonable prices, so you can choose the ideal watercraft for your day afloat. Perhaps one of Tennessee’s most famous historical figures, David Crockett was born on Nolichucky River in 1786 where his namesake park now exists. After you explore the museum and the 18th-century farmstead, head down to the peaceful banks of the Nolichucky for wading, fishing, and flatwater paddling. More than 600 miles of trails wind through the Cherokee National Forest. With more than 650,000 acres of protected land, the Cherokee National Forest’s magnitude can be nearly incomprehensible for the everyday adventurer. Its 14 recreation zones offer everything from whitewater paddling to primitive camping and more than 600 miles of hiking trails. In all, it’s a fantastic place to turn off the GPS and become immersed in the wilderness. Written by Madison Eubanks for RootsRated Media in partnership with Northeast Tennessee Tourism.